Chapman’s new carrier spotted in Strathclyde Park. 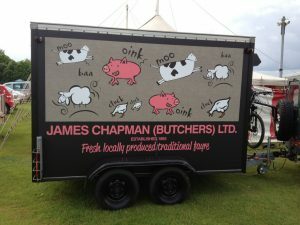 The trusty trailer has been freshened up with a nod to our popular hessian shopping bag. It’s first outing was to Strathclyde Park where Chapman’s support Strathclyde Park Rowing Club at the Scottish Rowing Championships. This is the 5th year of our support for the club at this event. Our congratulations to all who took part.